Do any other objects in the solar system have magnetic fields that flip upside down? Yes, all planets and stars with magnetospheres are thought to undergo magnetic polarity reversals. The Sun, for example, undergoes a magnetic field polarity reversal every eleven years. Astronomers can see and study this effect in other astronomical bodies, and from them, learn more about the changes in Earth’s own magnetic field. The Northern Lights (aurora borealis) are a spectacular display caused by solar wind particles reacting with Earth’s atmophere. 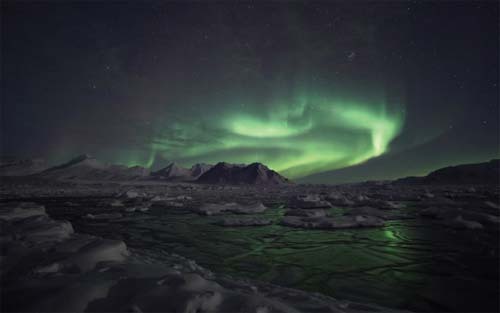 The same phenomenon occurs in the South, where the lights are called the aurora australis.